This seems particularly apt from Vasily Grossman today. His novel Life and Fate holds some very impartant lessons and observations about humanity, a timeless read. 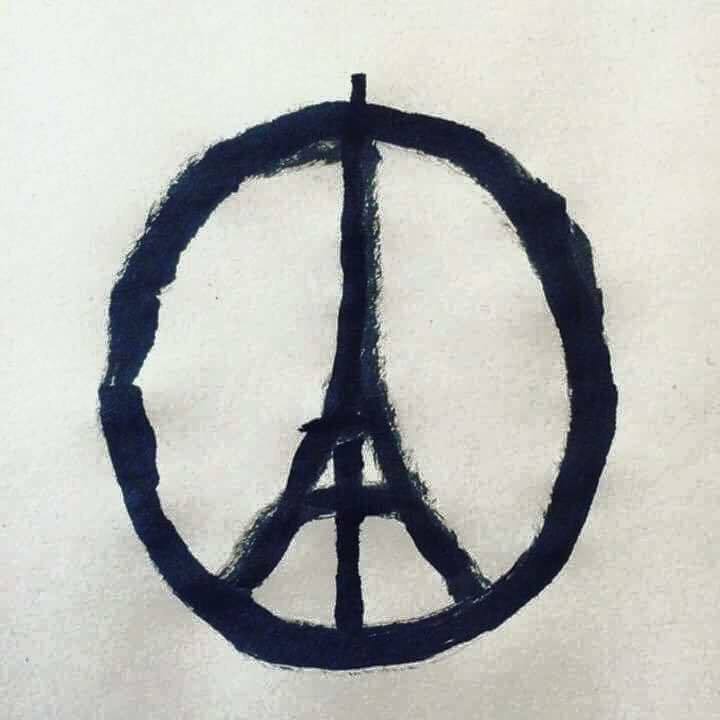 I have no words to express the sadness that I feel for what happened in Paris last night, how can we humans do this? So I will resort to the words of another, who struggled with the same questions 50 years ago. Today is International Women’s day and it is a great occasion to celebrate some fantastic women. There is one woman in the history of Russian literature that is hugely influential, yet for some reason often overlooked. She is mentioned in connection to some of the greatest publications of the 1950s and 60s, such as Solzhenitsyn’s One Day In The Life Of Ivan Denisovich, many of Grossman’s publications, Dombrovskii’s The Keeper of Antiquities, works of Viktor Nekrasov, Vasil’ Bykov, Vladimir Tendriakov, Fazil’ Iskander and many more… The woman I am talking about was a literary critic and the editor of the literary submissions in Novyi Mir (1958-71),- Anna Berzer (1917-1994). 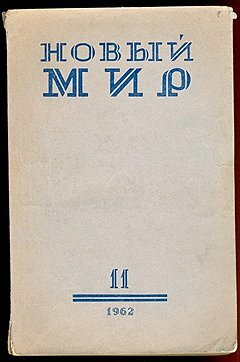 Novyi Mir was a literary journal that published some of the most challenging works during Khrushchev’s Thaw period in the 1960s USSR. I myself came across Anna (or Asya as she was affectionately called) when studying for my PhD. There was always some confusion surrounding my thesis, why did I choose two authors that are so different? Well, as it turns out they have more in common than it seems. One thing they have in common is their close relationship to Anna Berzer. After the publication of For a Just Cause she became very close to Grossman and has written an autobiographical narrative about his last days Farewell (Proshchanie). There, she describes her visits to his hospital bed and how she receives his final novel Everything Flows. She narrates all the details of what was happening in the editorial offices of Novyi mir and what was said about Grossman at a time when his novel Life and Fate was under “arrest”. It is a unique document from the perspective of the person that was closest to Grossman towards the end of his life. And there were many more like him whom she helped. In an article dedicated to her Inna Borisova explains the tenacity of Anna Berzer. She had no fear, only stamina and determination. If she has received a work of truth then it is her duty to make sure the public hear it. Her commitment was both to the authors and to the world. She was an excellent literary critic and often pointed out that a work needs to be published at the right time. If Fathers and Sons was not published in the 1860s, she used to say, then it would have lost some of its impact. And so, the same can be said for many of the works of 1960s (many of which unfortunately had to wait until 1980s, when they lost some of their impact in wave of publications). This is why she had a sense of urgency and achieved such incredible publications. Anna Berzer certainly fought for literature and is one of, to my mind, unsung heroes of her time. Bulgakov’s saying that “manuscripts don’t burn” infuriated her. She pointed out that this was said by the devil, and we should never become complacent. Anna Berzer’s role and approach to literature is truly inspiring. 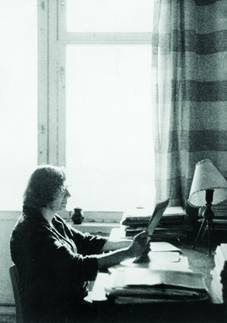 Her knowledge and editing skills have created the some of the greatest Russian novels of the 20th Century. To me she is a true hero and I hope we will speak more about her as time goes by. If there is a sense of magic in Dombrovskii’s novels, then there is also a sense of magic in his life. In 1943, after several years of internment in a labour camp, Dombrovskii found himself nearly paralysed and in a hospital bed. 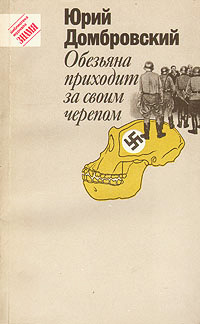 There he started writing his novel The Ape Is Coming For Its Skull as a way of escaping his own weakness and anguish. Firstly, just lying on his back, and later sitting up. The novel wasn’t published until 1959, and this is why…. 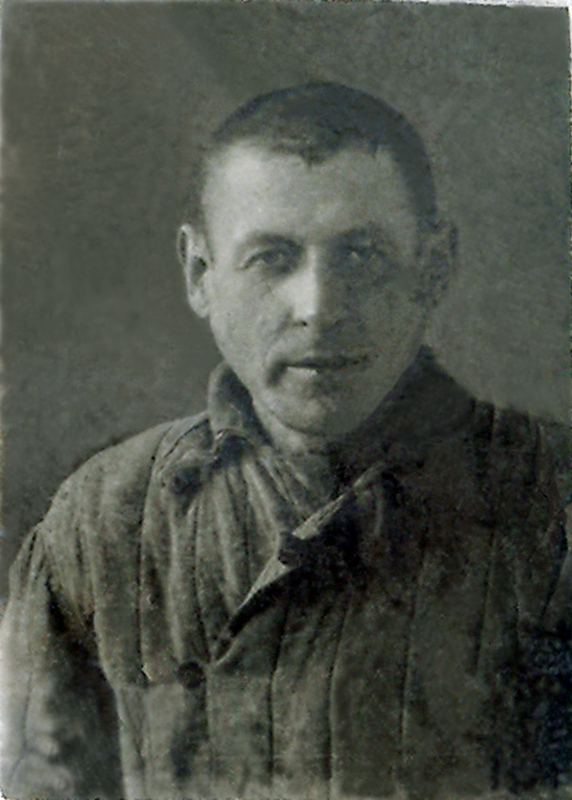 Iurii Dombrovskii lived in Moscow at the time and one day a small Jewish man turns up in his flat carrying a basket. He walks into the kitchen and asks: “Who is Dombrovskii here?” Dombrovskii answers: “Well, I am, why?” The man doesn’t believe him and demands to see his documents. The only documents that Dombrovskii has is his notice of release. The man studies it in detail and once satisfied passes him a bunch of papers from his basket. Dombrovskii is shocked – it is his novel The Ape Is Coming For Its Skull. The novel was confiscated from him during his arrest in 1949. Dombrovskii got very excited and did all the could to thank the man, who wasn’t interested in pleasantries was happy to leave. This novel could have disappeared to the flames, but as Bulgakov’s Woland says: “Manuscripts do not burn”. The only way that manuscripts are saved are by the acts of individuals, those who not only consider the value of the work but also its value to the person who has written it. The novel was published in 1959 by “Sovetskii Pisatel'” in a revised form. This was an important step for Dombrovskii. The novel depicts the importance of the printed word, and we can be happy that Dombrovskii is not the only one who felt this way. I have written a piece about Dombrovskii for the SSEES (University College London) research blog, have a look! A huge thank you to Dr Sarah Young (http://sarahjyoung.com/site/) for editing and posting the piece. My own experience of seeing my great-grandfather’s photograph similarly awoke my understanding of his life, it was a “negative epiphany”. It also broke something, not only in me, but it finally awoke me to the break that occurred in his life. I was finally able to witness his breaking, not mine. I always knew that my great-grandfather was imprisoned in a camp, and that he was saved several times by his friends, that he walked across the land to find my great-grandmother. All of these facts seemed like legends to me, and to a certain extent, they probably are, but I grew up knowing about suffering and starvation, as most Soviet children did. Having found myself with a seemingly inexplicable interest in the GULag, I started looking into my family history. 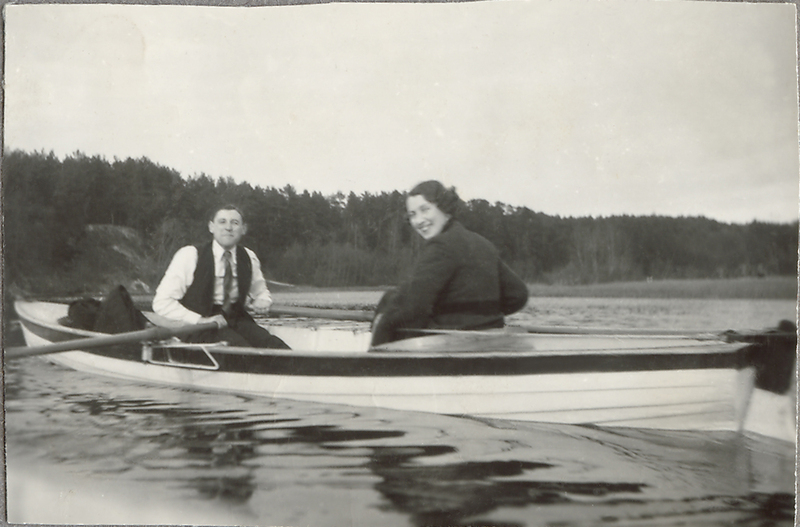 I re-read my great-grandmother’s memoir and found out about what happened to my great-grandad. (By the way, I remember him from my childhood as someone everyone looked up to and I was scared of.) 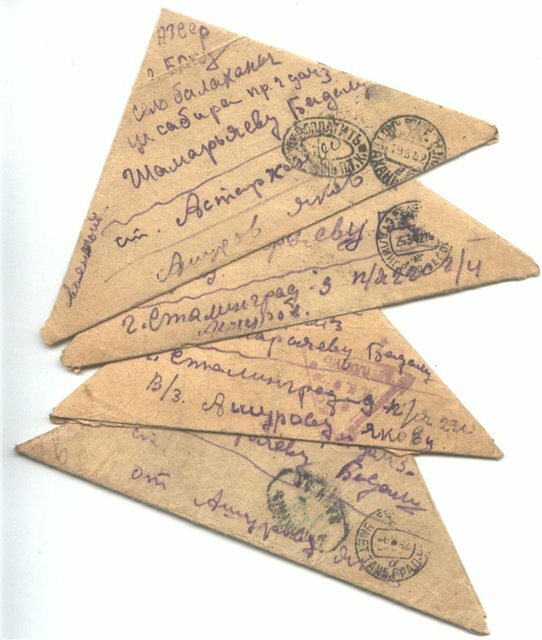 I found his letters from the camps, the little triangles scribbled neatly and tightly with facts about food and weather, and a constant longing for home. I knew all this, and yet, it was the photograph that made it all true and clear to me. I was looking through a collection of photographs that a relative of mine transferred to a CD. The photographs date from the late 19th century to around mid 20th century. Most of them are that beautiful sepia colour with men in uniforms and women in full length dresses and big sweeping hats. 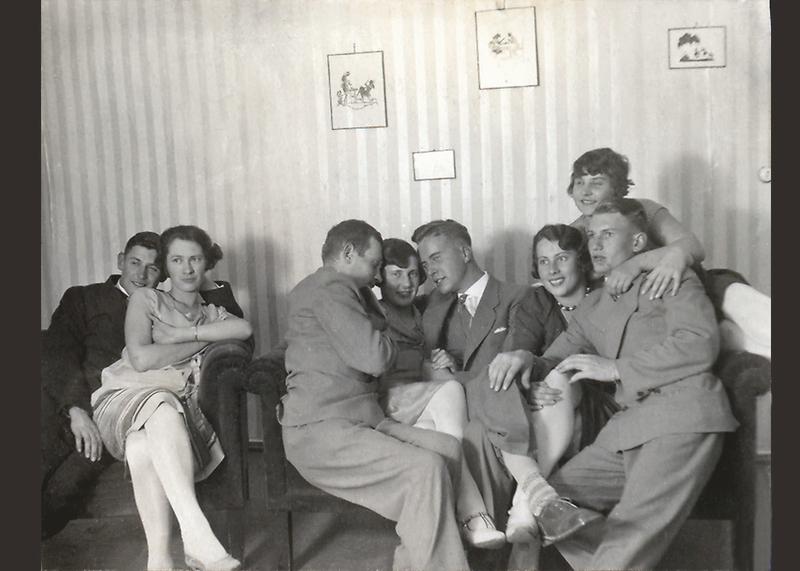 It is a fascinating collection of about 300 photographs and I often like to transport myself in time by seeing life as it was in the early 20th century Russia (for a wealthy family of course). 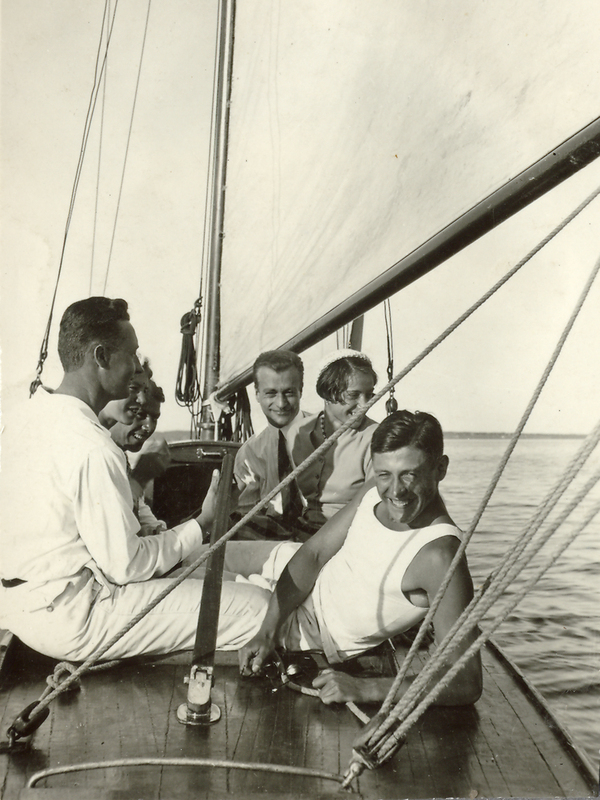 Whilst looking at the photographs of my great-grandad as a young man having fun with his friends on a yacht, playing tennis and dressing up for parties, I had a clear vision of his §youthful and often jolly life. 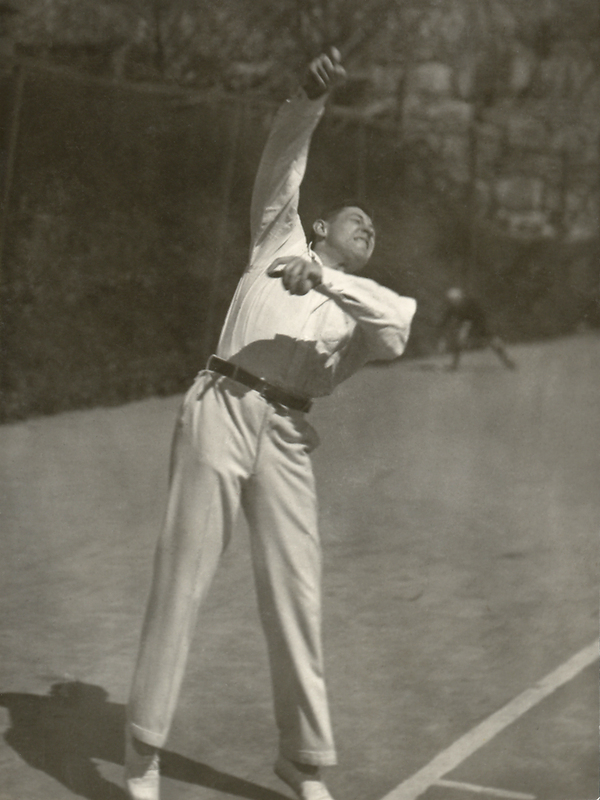 However, in the midst of these photographs, an image of him in his camp uniform appeared. It is just due to the digital shuffling of photographs that this image appeared in this place and in this sequence, however, it seems more profound to me than that. It was the perfect place for this photograph as it very explicitly and directly revealed to me what the camp meant and what it did. It broke my great-grandad’s life in half, in a similar way that Susan Sontag saw hers dividing after witnessing photographs of the Holocaust. The photographs above show the clear contrast between my great-grandfather as he was outside the camp and what he was after. I remember seeing this photograph for the first time and feeling a chill sweep across my body, knowledge dawned on me. In that instant I no longer knew the story, but I felt it and understood it at a deeper level. It truly did happen. And it happened to him. I was shocked because it was something “novel” and unexpected, I was not prepared for it. (A bit like what Freud suggested trauma is – an attack on an unprepared psyche. But I wouldn’t say I was traumatised by the photo, I was hurt.) It is exactly this “negative epiphany” that Sontag speaks of, that knowledge that dawns on you and can almost be experienced as an “epiphanic”(?) high. This is the danger with images that depict horror and their ability to shock, they may at times attract voyerism. This is however, something that is beyond the limits of this blog post and something to be discussed separately. What fascinates me is that the photo in itself is not as revealing of the truth as it is in the particular sequence of the photo album. The album follows the long lives of my family and I have seem many photos before, but not this one, not in this context. I believe this is not only relevant to traumatic memories, but to any family memories and stories that get repeated and told generation after generation. Of course, there is something particularly intense about a traumatic memory and it can often be passed on through silence as much as stories. But as painful as this is, there is also something beautiful about this inter-generational connection. 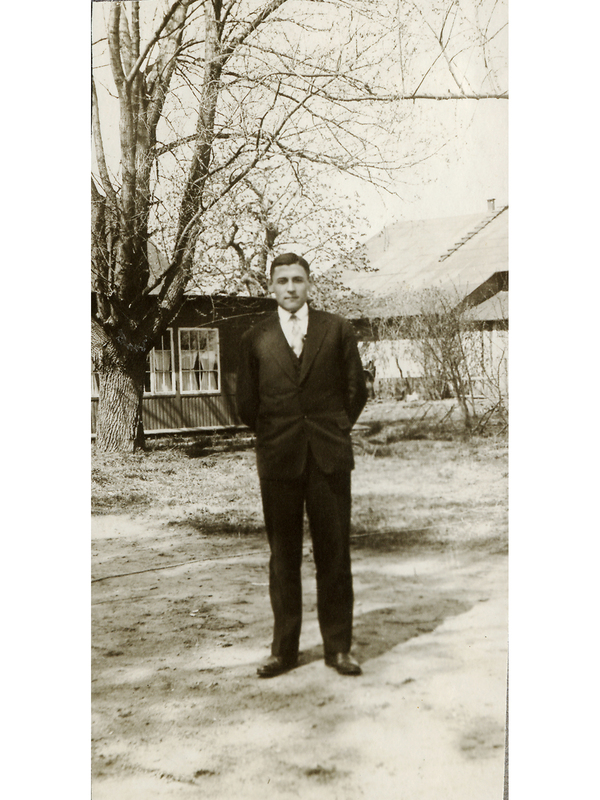 The memory gains new life and is retold in other ways, as perhaps I am doing with my great-grandfather’s life. I feel I know and understand him better than I ever did when he was alive. I have written about the opposition of music and silence before and have been thinking about this post for a while. I still am not sure about the relationship of silence and music here but would like to highlight it anyway. 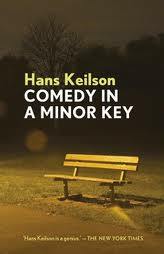 A while ago me and my friend Jo got rather excited about a new (to us) book being published called A Comedy in A Minor Key by Hans Kielson. Kielson wrote the novel in 1947 and it was translated into English in 2010. You can read more about Kielson in this informative Guardian article. 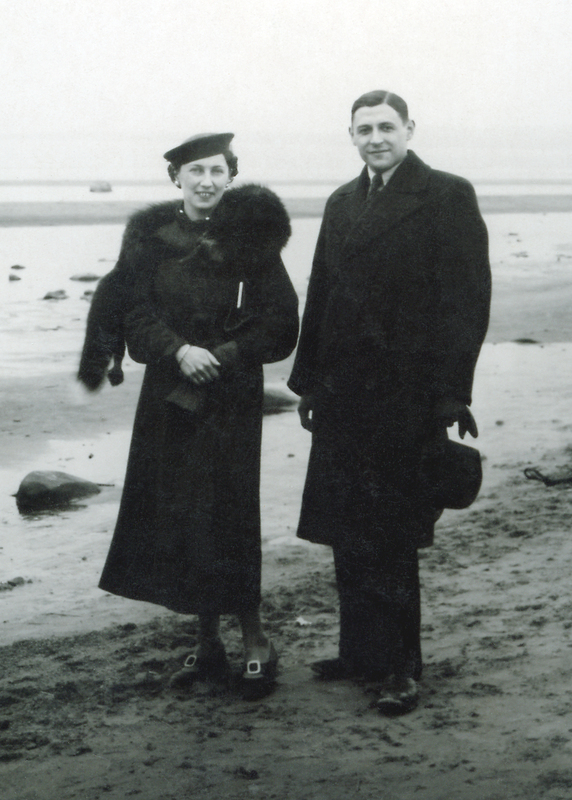 The novel itself depicts the story of a German Jew hiding from the Nazis in the home of a family in Holland. It depicts the mundane and dreary aspects of hiding – being confined to a small space from which you can never leave – a rather difficult prospect. As Philip Otterman says, “When the book is sad, it’s never so in a manipulative way.” And I would agree, it doesn’t seem manipulative, but at the same time, it is constantly sad. Partly, this sadness is expressed through silence in the novel. As I suggested in the last post on this subject, silence can be powerful and even loud in its way, pointing towards the unspeakable nature of a feeling or experience. In this novel I believe silence becomes the main character. Speaking about the death of his parents in Auschwitz, Kielson suggests that there is a sadness that cannot be deleted. He connects his feelings about their death and his own survival to music: “Music is always written in a major and a minor key: they need each other to make the right sound. It’s the same with sadness and happiness.” Kielson allows for the existence of both, hence the comedy and the minor key, the laughter and the sadness. The novel has very warm, awkward and funny moments between the couple who are hiding Nico, yet it is steeped in unspoken sadness. This silence that permeates the novel has a profound way of testifying to events in history that were unspoken on so many levels. So here it is, the minor key. The higher note of caring for a fugitive mixed with silence and secrecy. Both exist and neither triumphs. I suppose it is a bit like history. These inspiring stories of brave people who helped hide Jewish fugitives are always connected to the sadness that this should ever have happened. 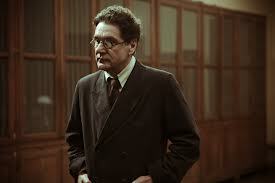 So… Last week I was in Tallinn and was able to follow the launch of the new TV series based on Grossman’s Life and Fate. I had heard previously that this was happening, and was worried already then. I love the book and it is a tough one to dramatise, just because of its size and the amount of characters, to mention just one obvious difficulty. It is that common thing of: “What did you think of the film?” “Oh I prefer the book…” So I was wondering what would happen. One serious flaw of this review is that I haven’t finished watching the series yet, so can only comment up to the last few episodes. As I spent the last four years writing my PhD on the novel and know it pretty well by now, everyone says that it is natural that I won’t like the film because, inevitably, it won’t be like the novel. I am too biased to have an honest opinion of it. I will admit that the book is precious to me and any rendering of it is always something that I anticipate with some dread. However, I was equally ready to find a good film of the book so that I could share its treasures with people more easily (rather than suggesting they read the 700 page epic or forcing them to listen me reading passages from the book, not the best experience). But, as you can tell, I was disappointed with the series. Why? Also, I know that the book is about the battle of Stalingrad, but it seems to me that the filmmakers focused exclusively on war and battles. What makes Grossman’s novel amazing (and his wartime articles), is the fact that he goes beyond the war and depicts people, personalities and relationships. He sees the man in war, his fears, his hopes, his vulnerabilities. In the film, it is the fighting itself that takes center stage. There is blood, explosions, dirt and a great amount of vodka. In order to make a moment meaningful the director just puts some loud violin over it and we’re supposed to feel touched. Of course, it is a film and Grossman’s words need to be represented audiovisually, but the subtlety of human relations is lost in the film. I suppose this could be proof of the power of words, that perhaps they can touch us more than imagery. But it also makes me wonder whether it is an attempt at pacifying the messages in the novel, removing the very reasons for which it was arrested in 1961. Is that really freedom for the novel in the 21st Century Russia? Another very typical problem with dramatisations is the choice of actors for characters. Often we get disappointed because they never look like what we imagine them to be like. Or the actors replace our personal idea of the character completely, who can think of Mr. Darcy without imagining Colin Firth? I can’t, and to be honest, I don’t want to. As expected, I do not agree with some of the choices of actors for this film. But one thing I really liked was the choice of Sergey Makovetsky as Shtrum. This is because he looks remarkably like Grossman, and considering Shtrum was based on Grossman, this was a good choice indeed. It points to the relationship between the author and the novel, without making an obvious statement. 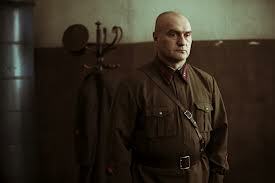 Krymov I felt didn’t look like what I imagined him in the book (especially because he reminded me of a serious and slightly slimmer version of Dara O’Briain), but I wasn’t too disappointed with that, it is to be expected. I always imagined Krymov to be dark haired and severe looking, a bit more like the director’s choice for Novikov, played by Evgenii Dyatlov. This was perhaps the choice that I was least pleased with. To me, Novikov is a bit of a softer character than the man above, but that is my impression. Otherwise, the choices of women was generally very good. Zhenya, played by Polina Agureeva, and Lyudmila, played by Lika Nifontova, were both good choices I think, and good actresses. Overall, I got bored watching the film, which just seems unbelievable considering how much I love the book. 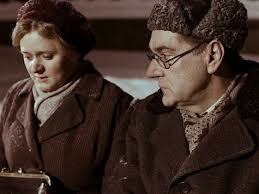 I was touched by the scene of Lyudmila at Tolya’s grave, but otherwise felt that I never came close to the characters. I just couldn’t feel that I understood or cared for them. There is also a narrator in the film, reading passages from the novel, but even his voice sounds dull and tired. Considering he is narrating war, one can understand that the voice has to be sombre to an extent, but what makes Grossman’s novel so amazing is the light that permeates the whole narrative. In the end human spirit, freedom, love and an inner light, all survive and that is the ultimate message. This seems to me to be missing from the film completely. I may change my mind as I finish watching it, but having seen as far as Film 4 Episode 2 and having only four episodes left, I have little hope…. P.S. 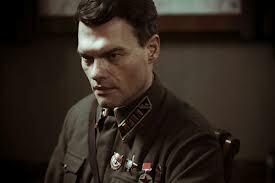 So far, there is no depiction of camps and thus Ikonnikov’s discussions of Good and Evil, so there you go.